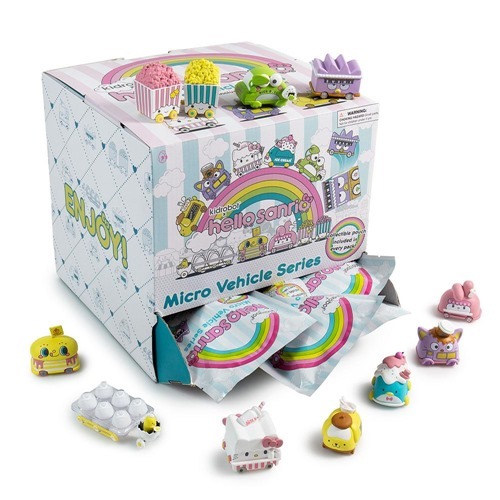 Valentine's Day is right around the corner as seen by the wave of light pastel pink toys set to drop shortly. Turing the holiday on its head, Gary Baseman is eschewing "light and pretty" for "dark and vicious" with the new 3DRetro Exclusive Black Ahwroo vinyl. Though it's definitely not pink, it does have plenty of bright, crimson red to go around. Pick up the 3DRetro Exclusive Black Ahwroo from 3DRetro.com and their Glendale location on Friday, February 15th. James Jean will release a deluxe Chelone giclee print as a timed edition available for 24 hours starting on Tuesday (2.2) at 8 AM PST for $220 each from his web store. The painting is Jean's interpretation of the eponymous nymph from Greek mythology who was forced to carry around her home as punishment for spurning an invitation to Zeus's wedding. Transformed into a tortoise, Chelone is seen bathing herself as water surges past and around. The 20.5 x 18.5" signed and numbered print features raised texture on the nymph's hair, shell, and the hitchhiking Octopus. For an added touch of dimensionality and flair, details of the water and shell are silkscreened with diamond dust. Finally, the print is finished with an embossed hermit crab, centered at the bottom. Another day, another intriguing teaser from Unruly Industries. This time around we're treated to a partial reveal of Fish Face by Canadian artist/designer Ian MacDonald who also happens to be Associate Art Director at Uruly's parent company, Sideshow Collectibles. 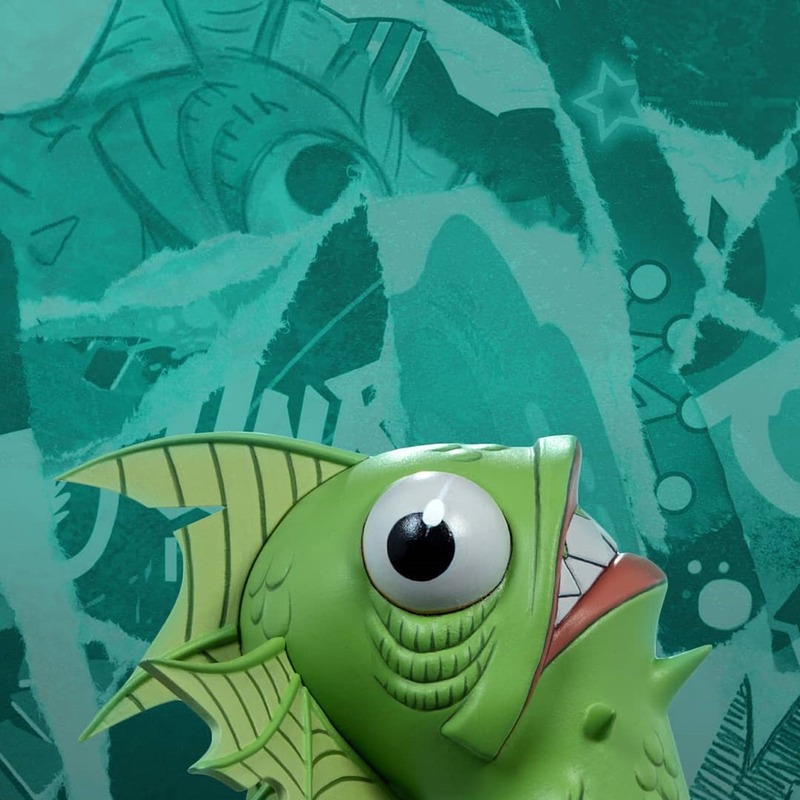 While many of the initial Unruly toys are interpretations of popular entertainment properties, Fish Face Appears to be an original design. We like what we see so far, especially the fins and the sculpted-in details. For now the question is, legs or big tail of some sort?